They say when life hands you lemons, make lemonade. 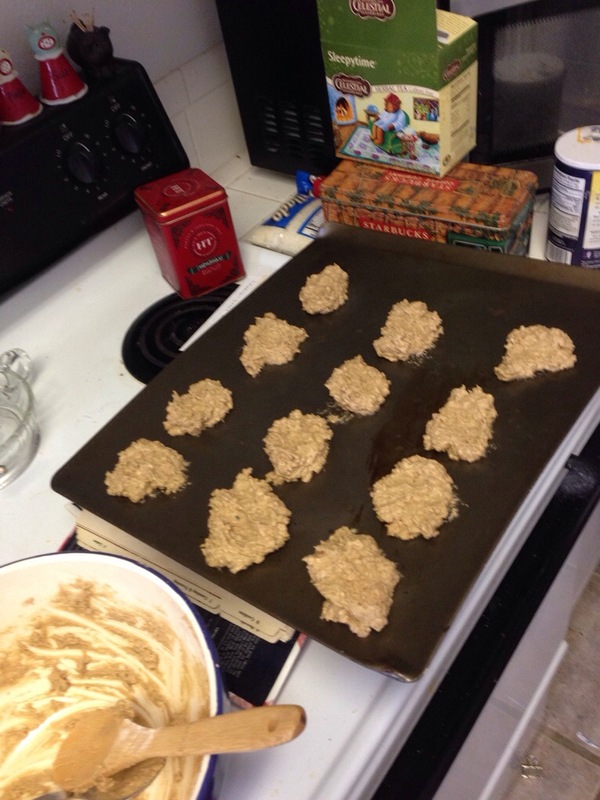 So I suppose when life takes away someone you love, make cookies. Today was the first Mother’s Day in 57 years that Ma wasn’t here. I wasn’t sure what to do. I was thinking yesterday about happy times, and I remembered the cookies. 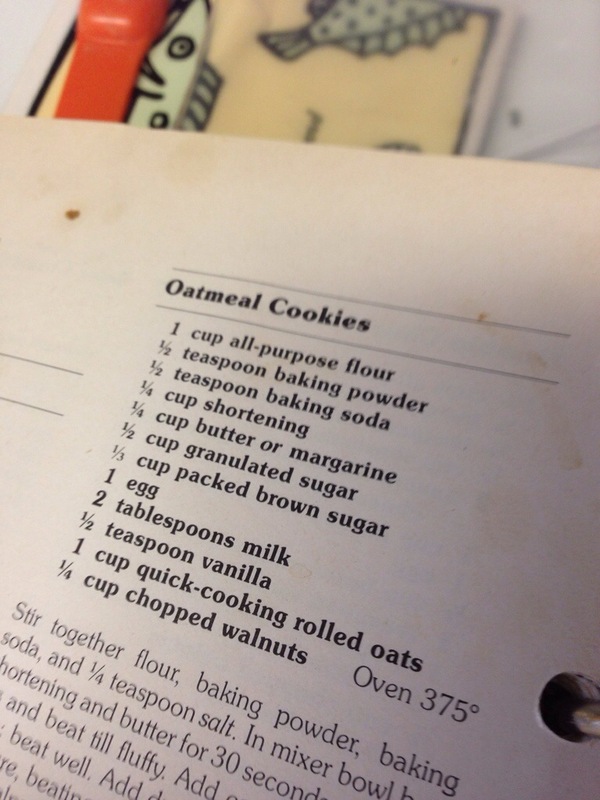 When I was a kid, Ma and I made a lot of oatmeal cookies. I’m not sure why, but I always loved it. I don’t remember ever cooking anything else with her, but many times we whipped out the old Betty Crocker recipe book and sent the flour flying. What better way to celebrate her memory than making some cookies? Mo loved the idea. We didn’t have her old cookbook, but Mo has an old one that looks a lot like it. We plunged fearlessly into the recipe and its mysterious ingredients. How does one know if one’s sugar is granulated? And what is shortening? As it turns out, it was moot because we had none. Mo said we could substitute butter. This sounded exactly like something Ma would say, so I knew we were on the right track. We subbed chili powder for baking powder (living in Texas and all), and used gluten-free flour for those of us with a delicate nature. Other than that we stuck strictly to the formula. Unless there is really a difference between a “teaspoon” and a “tablespoon.” No room for nitpicking in my recipes. And then, my favorite childhood memory in the world — licking the beaters. Wow. As it turns out, if you mix butter, white sugar and brown sugar in massive amounts, the rest of the ingredients from that point on are just excess. Who knew? The cookie dough was pretty glorious. 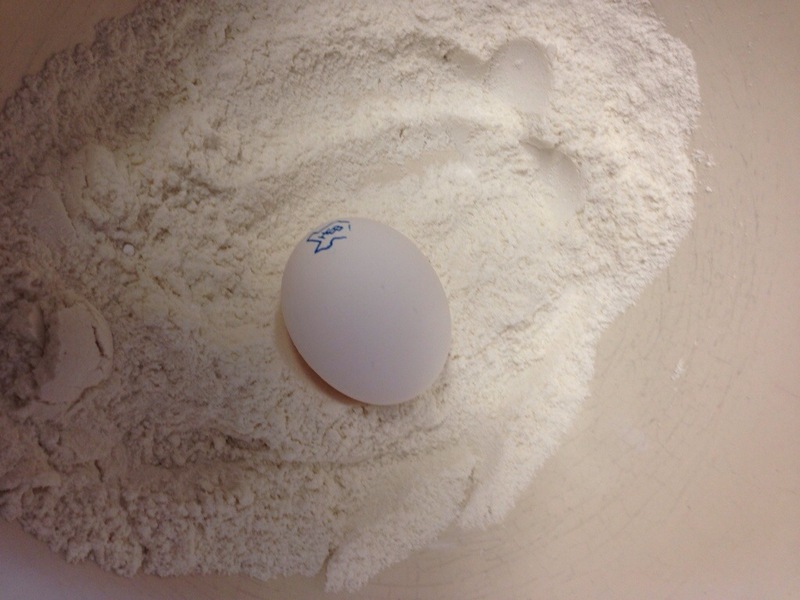 I had flashbacks of eating dough by the scoop, because who really has time to wait 12 minutes for baking? The recipe said it made 36 cookies, but I was only able to fashion 12. 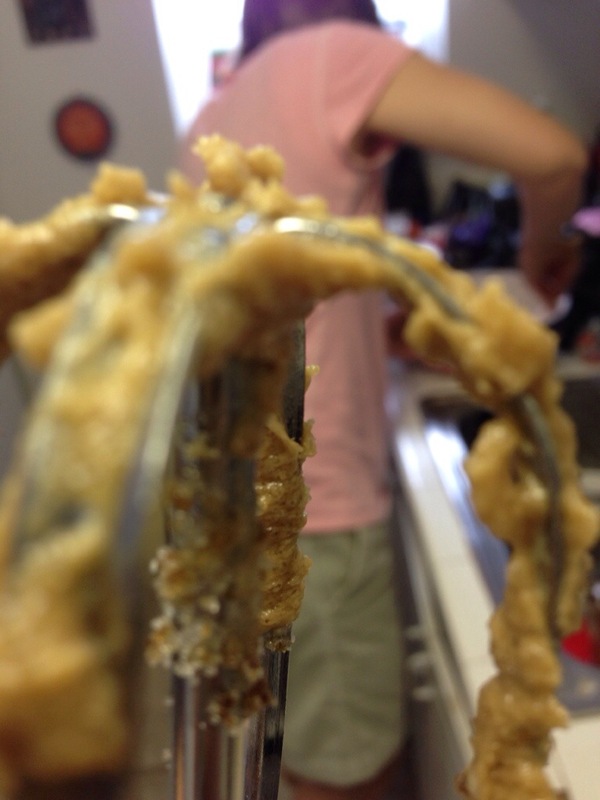 Did I mention I love eating the cookie dough? Ma was always a softie in the kitchen. Mo mentioned something about not making the cookies too close to each other, but I hate a standoff-ish cookie. So they were in close quarters. Into the oven for 12 long minutes. 1. The cookies had all globbed together into one scary looking cookie monster. 2. 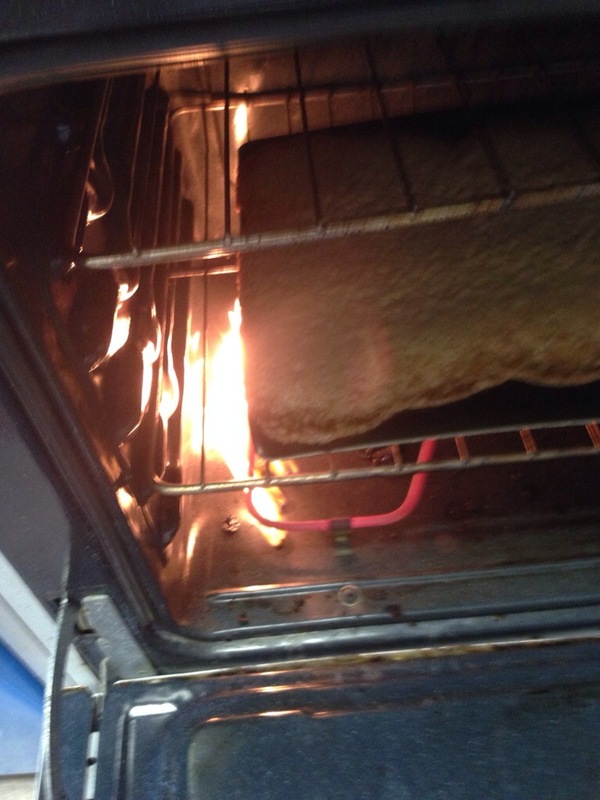 The oven was on fire. 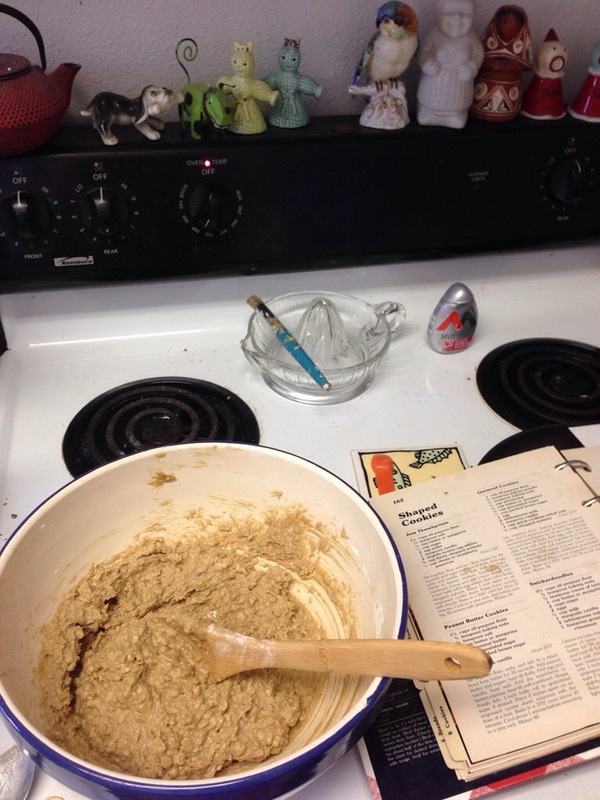 I thumbed through the recipe book, checking to see if “cookies on fire” was part of the actual recipe. Mo was showering, so I went in to ask her if the cookies should be in flames. She assured me they should not. She came running out to keep us from making the police blotter in tomorrow’s paper. Ma would have loved this part a lot. After the smoke cleared, we had exactly this much cookie. I was pretty pleased with it (tasted great! ), but Mo had a plan. Ma was always famous for her plans. If Plan A doesn’t work, she would say, we’ll come up with a Plan B. Or a Plan C. Or just make it up as we go along. She was pretty terrific that way. It’s one of those life lessons I’ve used a million times. I guess that’s what moms are for. Mo must have inherited it. 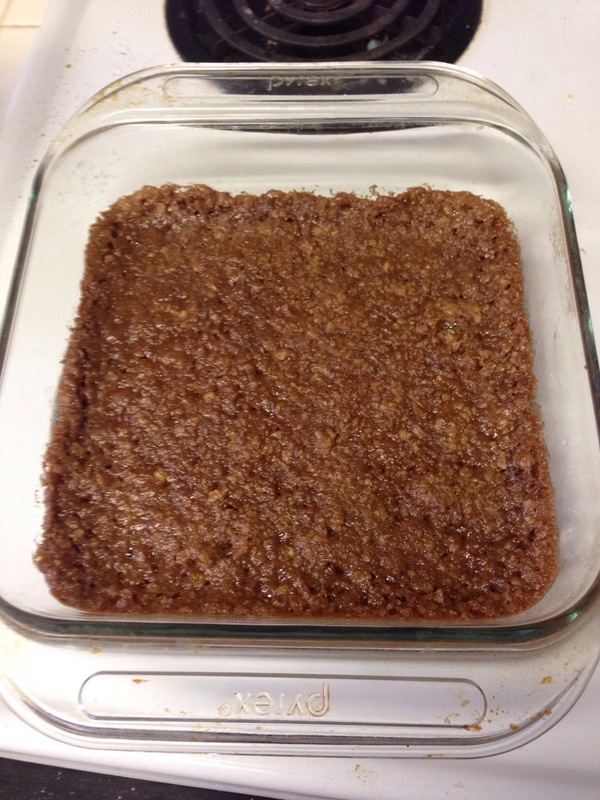 Because she took all the mush on the cookie pan, scraped it into a bowl and declared we were making Oatmeal Cookie Bars. 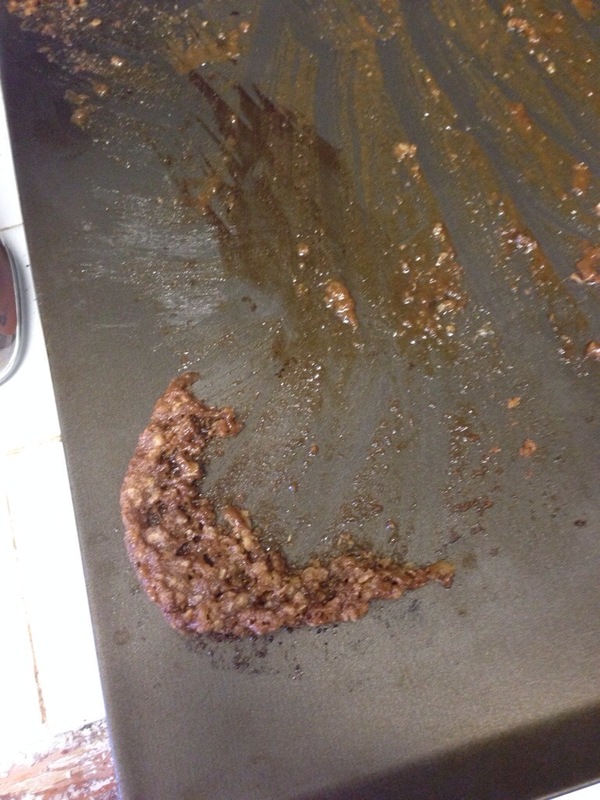 She threw it back into the oven, which by now had cleared fire code, and cooked it for another 10 minutes. The end result: An oatmeal concoction that Ma would have been proud of. A sad day turned into a hilarious one. And a Mother’s Day memory to tuck away with the other 56 that came before it. Happy Mother’s Day, Ma. I love you. I’ll save you an oatmeal bar.